People sometimes turn their nose up at this lens because it only has an aperture of F4 so they think it to be optically inferior. However its an L-series lens, and as far as Canon are concerned, within its limitations it has the same high-quality specification as the others. On a day-to-day basis I don’t particularly like working below F5.6, because most lenses don’t work as well at wide apertures, along with getting lower resolution on the edges and more vignetting. In reality, due to the sensitivity of modern cameras, most of the time the only real advantage of having fast lenses is a shallow depth of field. Personally I think when you’re working with larger chip sizes in fast moving situations this can be a handicap rather than an advantage. 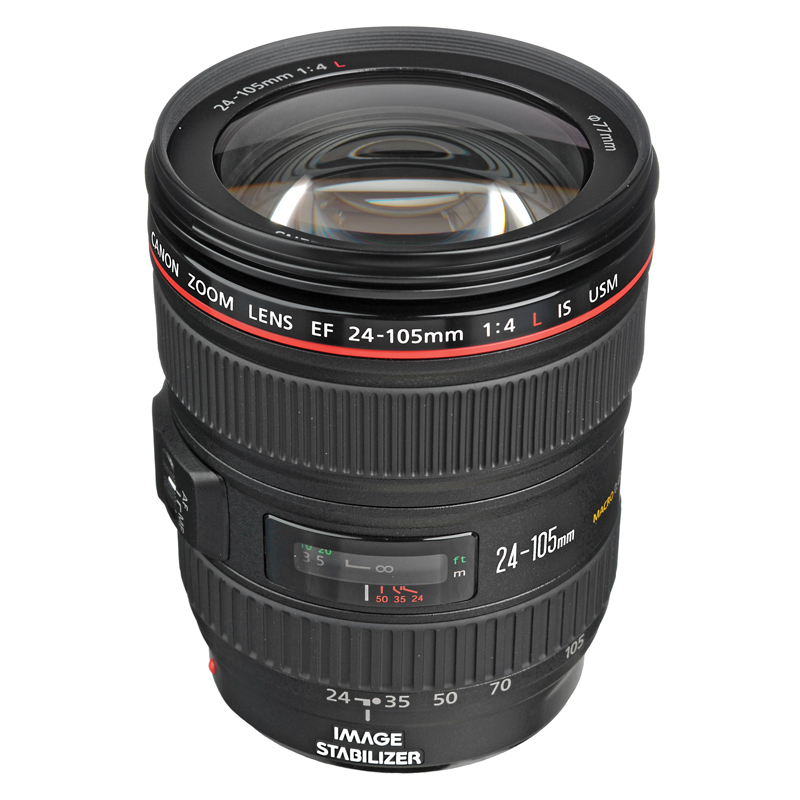 The f/4 maximum aperture of the EF 24-105mm f/4L IS USM is fixed throughout the lens’ focal-length range, so shutter speeds will not change as the lens is zoomed. The EF 24-105mm f/4L IS USM features Canon’s three-stop Image Stabilizer (IS), making it ideal for handheld work. IS permits the use of shutter speeds up to three stops slower than normal, with no perceptible increase in image blur from camera shake.